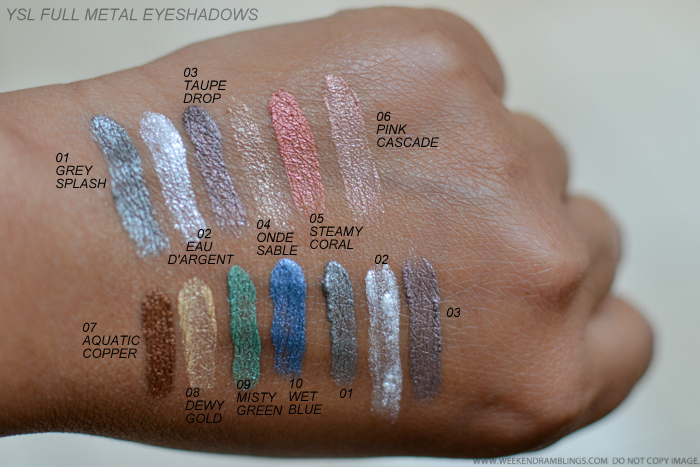 I am neither a fan of fluid/liquid eyeshadows nor am I drawn to metallic eye makeup in general, so personally for me, these eyeshadows don't really hold much appeal. 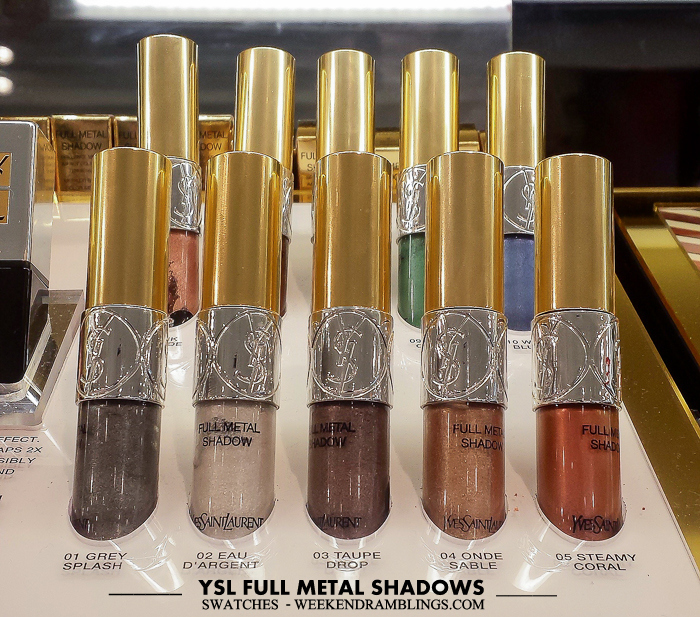 The YSL Full Metal Eyeshadows probably might fare better than the fluid/cream eyeshadows I have tried in terms of longevity since they do claim 16 hours of wear. 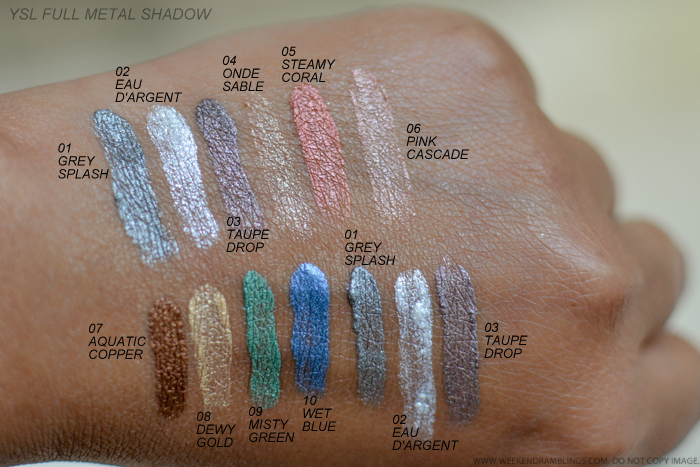 Most cream or liquid eyeshadows tend to disappear on my oily eyelids and shimmer and metallic shadows can migrate and crease as the day wears on, so overall, I would pass on these. 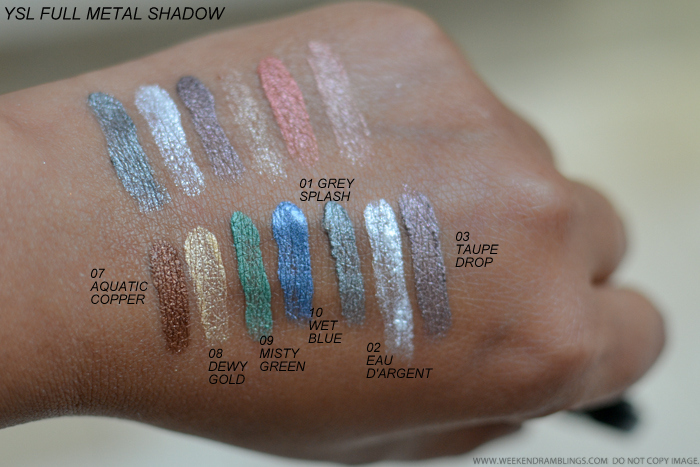 That's my personal taste, though, and if metallic, shimmery shadows work for you, do give these a try. Links provided in the post are for information only and are NOT affiliate/sponsored links. Please do not download images to republish on your social media channels or blogs.